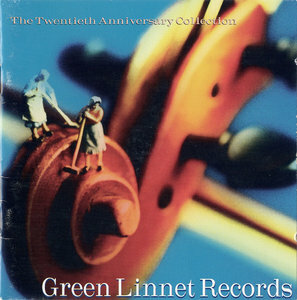 Green Linnet 20th Anniversary Collection is a double-disc collection featuring 38 tracks from the Celtic music insitution. Every one of the label's biggest artists – including Silly Wizard, Altan, Wolfstone, the Bothy Band, John Williams, Tannahill Weavers – is on the collection, giving a good representation of not only the label, but the state of Celtic music of the '70s, '80s, and '90s. It's an excellent retrospective. 19 tracks. Lorena Mckennitt, The Corrs, Clannad & Bono, Sarah Brightman, Kate Bush, Luar Na Lubre, Mike Oldfield, Maire Brennan, Mary Black, Christie Moore, Eliza Carthy, Caroline Lavelle, Sinéad O'Connor, Altan, Eddi Reader, Sharon Shannon & Hothouse Flowers, Eimear Quinn, Simple Minds. 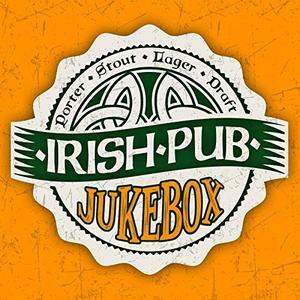 Sony Music Ireland Presents Irish Pub Jukebox album 23 original hits and the original artists genre Pop, World, Celtic. Includes tracks by Van Morrison, Damien Dempsey, Glen Hansard and more. 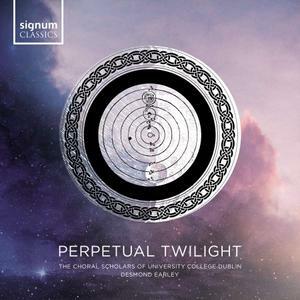 The Choral Scholars of University College Dublin and Artistic Director Desmond Earley follow up their debut release with a programme of new choral music inspired by the evocative imagery of the natural world in traditional Irish and Scottish folksong and poetry. The disc includes a number of world-premiere recordings of new works and arrangements commissioned by the choir. The choir’s first release Invisible Stars was praised by critics and reviewers: 'The choir’s singing is crystal clear' The Lady 'Blending ‘folk’ voices with choral precision and tight harmony isn’t easy, but Desmond Earley has a passionate stake in both and doesn’t put a foot wrong' Choir and Organ. 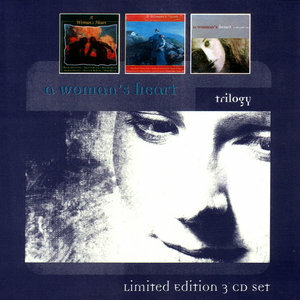 Limited three CD box set that contains all three Woman's Heart albums: A Woman's Heart, A Woman's Heart 2, A Woman's Heart - A Decade On. Listening to Ireland speak from the heart is to hear a woman's voice. A Woman's Heart is a rare collection of Ireland's top female vocalists, including Maura O'Connell, Frances Black, Dolores Keane, Sharon Shannon, Eleanor McEvoy, Sinead O'Connor, Mary Coughlan, and Mary Black… Each artist is famous in her own right and sings one of her signature pieces. 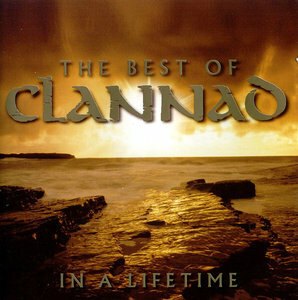 The Best of Clannad: In a Lifetime is a greatest hits compilation album by Irish folk group Clannad. It contains two new tracks, "Christmas Angels" and "What Will I Do", the latter of which is on the soundtrack to the Kevin Costner film Message in a Bottle. 2003 UK Limited Edition 26-track 2-CD album set comprising of 18-track CD including Theme From Harrys Game In A Lifetime - featuring Bono & duets with Paul Young & Bruce Hornsby plus BONUS 8-track CD featuring their most laid-back tracks & 3 previously unreleased chilled-out remixes & Saltwater by Chicane. Clannad bridged the gap between traditional Celtic music and pop, and the results were an entrancing, enchanting form of pop that managed to fuse the disparate elements together rather seamlessly, creating an invigorating blend of Irish traditional folk with modern influences. Such fusions have earned the band an international cult of fans. 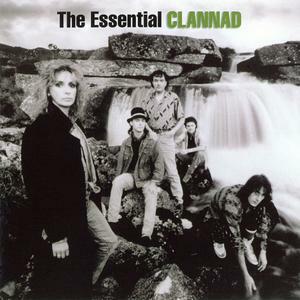 Clannad are at their best when unleashing gargantuan choruses against Moya Brennan's hushed leads, and the inclusion of the beautiful "Newgrange," a mystical ode to one of Britain s famous stone circles, and "Caislean Oir," the leadoff track from the band's excellent 1985 release, Macalla, are prime examples. With 30 tracks on 2 CDs, The Essential Clannad touches on fan favorites, collaborations, and songs from films. The material is quite varied in scope, and the arrangements and vocals are vastly pretty and melodic. The full range of the band's styles are presented here, from gorgeous a cappella to slick pop/rock, acoustic guitar ballads, Irish folk strains, and sophisticated power pop crunch. 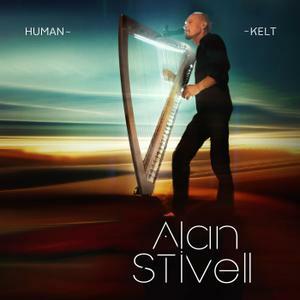 If there is a single savior of Celtic music, Alan Stivell is probably it. Since the end of the 1960s, he has done more to revive interest in the Celtic (specifically Breton) harp than anyone in the world and, in the process, almost singlehandedly made the world aware of native Breton Celtic music. Since 1971, he has been recording albums of extraordinary beauty and diversity, ranging from ancient Breton and Irish material to modern folk-rock and progressive rock. 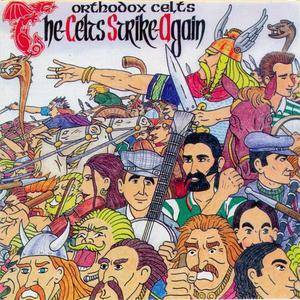 ITMM want to give you something and that something is this: an album by Orthodox Celts. 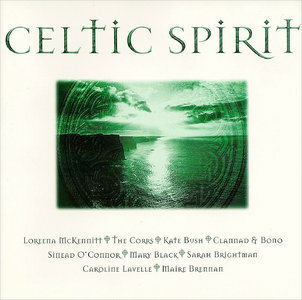 The album is called The Celts Strike Again and it is true to their Celtic roots. This goes back to 1997. One of the reasons American entertainment became such a strong cultural mix was because of the immigration from so many countries. Many of the great Broadway songwriters and comedians were Jewish, while blues, soul and gospel came from the African-Americans. Cajun music came courtesy of the French; while English and Irish ballads dominated folk music, and even the famed American balladeers were often immigrants of Italian extraction. There were many operatic singers from Italy or of Italian extraction and this inevitably crossed over into popular music. 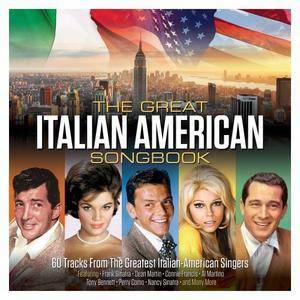 The American singers were largely from Italian families, based predominantly in New York or Philadelphia, and this 60-track collection features the very best of them. 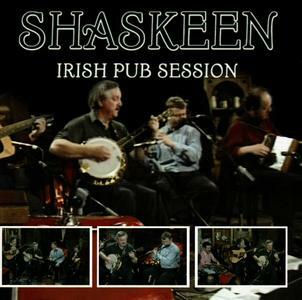 Get ready for the ride of your life through Irish folk-rock styles. 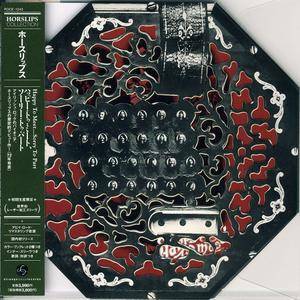 The opening track of the group's debut album, with its pipes, button accordion, and percussion, could pass for any Chieftains record, but then the electricity kicks in on "Hall of Mirrors," and the rest is melodic rock, not so much folk-rock as folkish rock, recalling early Genesis. John Fean sounds like he's playing folk melodies even as he plays runs on his electric guitar on "The Clergy's Lamentation," and the group follows this with an anthem-like piece of Gaelic rock ("An Bratach Ban") with a dance-like instrumental break. "Bim Istigh Ag Ol" is probably the best track on the album, and "Hall of Mirrors" and "Furniture" remained in their stage act for years, the latter, with its superb middle section – favorably recalling Steve Howe's playing with Yes on their early albums – transformed into a 15-minute epic. And just when you think you've got them pegged as a progressive folk-rock outfit, they deliver the exquisitely languid, almost impressionistic "The Shamrock Shore" and the playful "Dance for Yer Daddy," which sounds like the Chieftains with vocals until Fean's electric guitar kicks in. 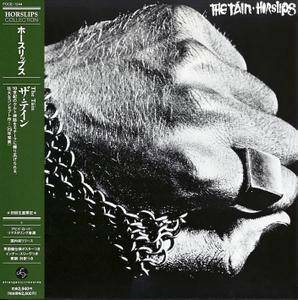 The most ambitious and successful of their early albums, Horslips' most progressive creation, and maybe the most successful rock concept album ever done, The Tain is rock put into the service of epic storytelling (or is it the other way around?). Based on the Irish saga Tain Bo Cuailgne (The Cattle Raid of Cooley), part of the Ulster Cycle of heroic tales, it tells of war and carnage brought about over the possession of a white bull, inspired by events estimated to have taken place around 500 B.C. This is a long way from Chuck Berry or Little Richard, but it does rock hard, and unlike a lot of progressive rock, The Tain displays considerable tension and momentum. Some listeners will detect modest similarities to Jethro Tull's work (especially on "Charolais"), but there's a lot less meandering here than there is on Tull albums, the flute playing is better, and the material moves forward in a fairly nimble fashion. It would be easy to praise John Fean's guitar, but Jim Lockhart's flute is just as impressive, Charles O'Connor's violin playing is gorgeous, and Eamonn Carr's drumming is dazzling. And the vocals are quite good too, sweet but earthy and honest, and not self-consciously profound – these boys had ambition, but they weren't full of themselves or too given to pretensions. After thirty years of playing on stages all over the world from Dublin to New York, Tokyo to Sydney, premier traditional Irish band, Altan came back to the hills of Donegal to record their new album, THE GAP OF DREAMS. The 13 tracks transport the listener to the lifestyle of rural Donegal, to a time before electricity when folks would gather together in the mists of winter to tell stories, sing songs and dance into the wee hours of the night. The music lifted the locals’ spirits and helped elevate them beyond the hardships of the day like famine, conflict and emigration. It is this spirit that informed the development of the band through their many phases of growth from a duo performing in pubs to international touring and recording artists. 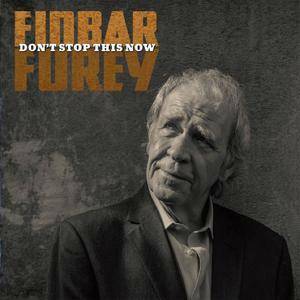 ‘Finbar Furey proves that he is not just a massive force in Irish music’s heritage, he is a massive force in shaping its future as well’ – Shane MacGowan.